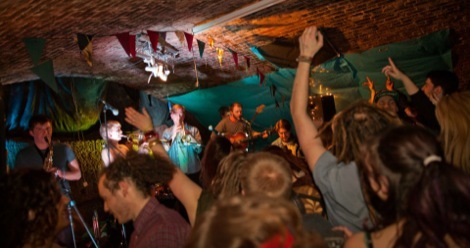 Fiesta Bombarda returns for a tropical soiree and a last hurrah at The Kazimier, Getintothis’ Emma Walsh gets the lowdown. A Fiesta Bombarda announcement is always a cause for intrigue and excitement, but this particular fiesta has an added element of consequence. 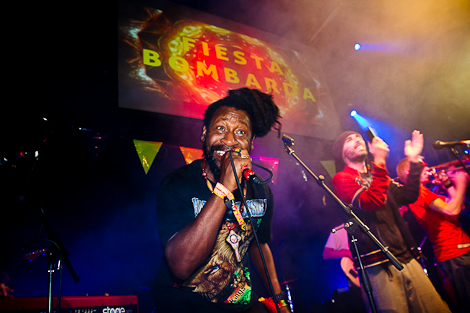 As we creep into the second half of the year and the beginning of the end for our dear old Kazimier, Fiesta Bombarda announce there final fling at the Wolstenholme Square hub this September. Ever the grand affair, this extra special shindig sees twelve bands including the likes of Mamadou & The Super Libidou Band, Iration Steppas ft Danman, and Rags Rudi take to one of three themed stages for a mammoth Kazimier send off. Matching the high energy sounds of Highfields and The Soul Rays, the club, garden and Rat Alley can expect a tropical transformation with vibrant set design and live performances. Inside on the Azeteka Kove Stage you can expect to see the likes of Lazy Habits, Euphony and Joel Valentine as well as Galactic Funk Militia and kooky LIPA circus rocker Chanel Samson. Out in the great outdoors of the Kazimier Gardens spectators will also be treated to sets from INDRI and American Jalen N’Gonda’s blend of soul and r’n’b. In between, Eat Your Greens take over the DJ Alley. 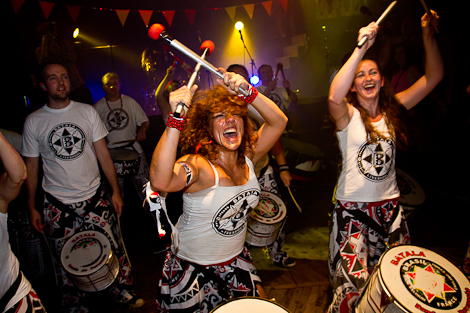 Fiesta Bombarda hits The Kazimier on September 19. Tickets are on sale now. Previous ArticleCosmic Slop #25: Why is Madonna trying to convince us that she’s funny? Because she isn’t. Next Article Livia C covers Otherside: Has there ever been a more scary pop video on the internet?